Children of all ages are welcome and this is a great place to stay, especially with older, outdoorsy kids. 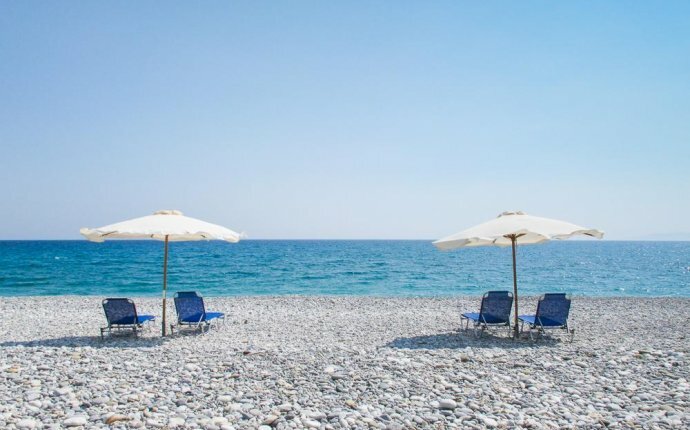 Though stony, the beach here is safe (no tides or currents, though occasionally an undertow when wavy), and there are sandy beaches 10km away in Stoupa. Greeks are always very welcoming to children, and it is considered a safe country for them to play alone. It's a 3.5 hour drive from Athens, so plan a stop en route - and stay for at least a week to make it worth it. Extra beds or cots for children under 3 are free; older children are free if using existing bedding (including sofabeds), otherwise there is a small charge if an extra bed is needed (but often it won't be). Our pick of the bunch are the larger maisonettes, which sleep up to 5 in 2 bedrooms (one double upstairs, one twin downstairs, both ensuite). If you want to use a baby monitor while dining in their restaurant, ask for one of the cottages closest to it. You need to bring your own monitor. The restaurant serves fresh Greek food which should go down a treat with youngsters. Discuss any special requirements before arrival. The cottage kitchens are basic but there's enough kit for a simple family meal and you can buy local and fresh food to stock the fridge in the village. Local tavernas are, as with the majority of Greek places, happy to welcome children. There are some steps and balconies; if you're concerned, request a ground-floor apartment or studio. Bring any special provisions with you - you won't find any huge hypermakets nearby.